With the gradual shrinking of the country’s workforce, a drained talent pool and an ageing population, shortage of skilled workers is one of the greatest economic challenges Canada faces today. A report released by Information and Communication Technology Council (ICTC) in 2017 predicts that the Canadian economy will create 216,000 technology jobs till 2021, but will lack people to fill them. What Are The Provincial Nominee Programs? Recognizing the specific needs of Canadian provinces and territories for workers, realizing a serious mismatch in the demand and supply of talent, the Ministry of Immigration, Refugees and Citizenship Canada allowed different provinces and territories to select individuals, who are interested in settling in a particular province/territory and who are capable of contributing to the economic development of this province/territory. All Canadian provinces and territories can participate in the provincial nominee program, except for Quebec. Quebec has their own immigration programs. Each province and territory have their own “streams” (immigration programs targeting specific groups of people) and criteria for selecting potential candidates. For example, some programs may choose to targets students and skilled workers, while other programs may target business people and semi-skilled workers. You should know that you can obtain an immigration visa (and a permanent resident status) to Canada without a provincial nomination. So why should you get a provincial nomination? Well, if you get a provincial nomination, it means that your application for a Canadian immigration visa will be processed quickly and your chances of getting a permanent residence visa increase exponentially. Usually, an application under the provincial nominee programs is submitted to the office of the provincial government before you submit an application for a Canadian immigration (permanent residence) visas. Since January 1, 2015, many provinces and territories have launched their Express Entry streams. This means they are able to nominate a certain number of candidates, who meet their local provincial /territorial market needs, through the Express Entry system. Candidates for immigration through Express Entry pool, who have received a provincial nomination, are additionally awarded 600 points under the Comprehensive Ranking System. These additional points mean that the candidates will receive an invitation to apply for permanent residence at an Express Entry pool draw. Additional criteria may be added by provinces and territories for their own immigration streams. Depending on the province, you should first enter the Express Entry pool and then be nominated or receive a nomination from the province/territory and then apply to the Express Entry Pool. If you happen to be ineligible for the Express Entry draw, don’t get disappointed just yet. You may still apply under regular provincial nomination programs outside the Express Entry pool. These regular provincial nomination programs are also called “based” programs. You still have to meet the requirements of the provincial nomination program to be admitted under base nomination. If you have received a base nomination, it means that your application will be processed outside Express Entry stream. As soon as you have satisfied the criteria for provincial nomination stream, you should apply and receive a provincial certificate. With this certificate, you may then apply for permanent residence status with the federal government. What do provinces look for? Work experience in the industries important for the province. Provinces like Ontario, British Columbia, Manitoba and Saskatchewan etc. will supplement the federal government’s goal to welcome a myriad of talented foreign applicants into mainstream employment. Interestingly, all provincial nomination programs are dynamic in nature – they can start and close as per their requirement and set their own eligibility criteria as the economic environment demands. The most sought-after province of Ontario, which enjoys high popularity among immigrants, accepts applications under the following streams: Business Category, Employer Job Offer Category, and Human Capital category. In July 2016-June 2017, 98,409 immigrants arrived in Ontario. More information on the OINP. 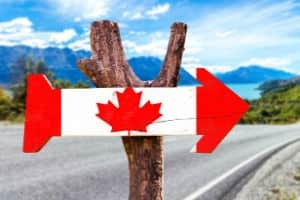 British Columbia, which is home to Vancouver, Canada’s most rapidly developing metropolis, offers three ways to become a permanent resident: Skills Immigration, Express Entry British Columbia, Entrepreneur Immigration and a few other immigration options. In July 2016-June 2017, British Columbia welcomed 35,388 immigrants. Read more about British Columbia Nominee Program Entrepreneur’s Stream. Manitoba, the picturesque rising-star neighbour of Ontario, accepts applications under the following four streams: International Education Stream, Business Investor Stream, Skilled Worker in Manitoba Stream, Skilled Worker Overseas stream. In July 2016-June 2017, Manitoba became richer by 15,679 immigrants. Alberta, an amazing province which combines world-known iconic landscapes and natural parks with one of the strongest economies in the world, has three active immigration streams: Employer-Driven Stream, Strategic Recruitment Stream, and Self-Employed Farmer Stream. In July 2016-June 2017, Alberta ranked third after Ontario and Quebec in terms of popularity among immigrants. 44,091 new immigrants called Alberta their new home. Read more in-depth about AINP (Alberta Immigration Nominee Program). The province of Saskatchewan, also known as the land of the living skies due to its incredible sunsets and stunning cloud formations, offers a perfect balance between city and country life. Saskatchewan offers four immigration streams under its SINP program: International Skilled Worker Category, Saskatchewan Experience Category, Entrepreneur Category and Farm Category. In July 2016-June 2017, 14,315 immigrants arrived in Saskatchewan to settle here. As you can see, the provincial nomination is another gateway for professionals to seek permanent residency in Canada. Due to high volume demand, it is imperative for applicants to prepare their applications in advance for the purpose of submitting the application as soon as particular provincial category reopens. See more information about work permit Canada. Please contact us for a free evaluation to find out which provincial nomination you are eligible to apply for. Or give us a call right now at +1 (416) 661-4487. No. Under Express Entry, the system will find which programs you qualify for based on the answers you give in your profile. If you qualify for more than one program, we will decide which one to issue the invitation to apply under. What language test do I need for Express Entry? You will be asked to enter the amount of money you will have to help you settle in Canada in your Express Entry profile. This is to show that you can support yourself and any family who come with you to Canada, and helps us assess which programs you may be eligible for. What is an economic immigrant in Canada? replace the Immigration Act of 1976.
able to contribute to that province/territory’s economic development. security and authenticity of documents — before issuing a Canada Immigration Visa. What is the score required in IELTS for Canada Immigration? How long can you stay out of Canada if you are Permanent Resident? years) in every 5-year period. Hello good afternoon. I am very interested in immigrating to Canada. I have never been there but it is the country I always wanted to live in and learn to call home. A little bit about myself, I am 28 years old, getting married within 2 months. I am from Venezuela by currently I’m living in Mexico. I am a general physician and wish to continue my postgraduate studies in Canada. Thank you for any information that you may provide. Please fill out the contact form and we will contact you directly.